An Ormskirk marine explorer stands to make millions of pounds after discovering the site of one of the most significant shipwrecks in British history. Joe McCormack, 68, and his team of divers believe they have found what is left of a French vessel loaded with 426 tonnes of gold intended to help Bonnie Prince Charlie’s rebellion in 1746. Their path to the discovery began 29 years ago when Joe was teaching his twin teenage sons to dive off the Anglesey coast. 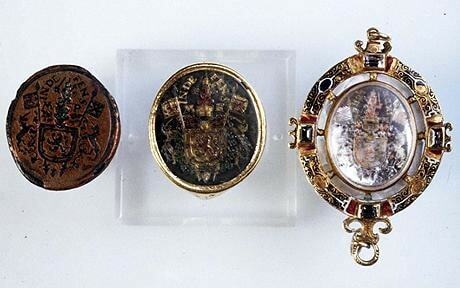 His son Kevin found what they thought was a dress button but was later proved to be a priceless artefact, the ring seal of Mary Queen of Scots. “It was an accidental find,” he said. “We were just swimming and looking at different wreck sites. I was teaching my sons to dive and Kevin found the ring seal by a fluke.